Duh indeed. 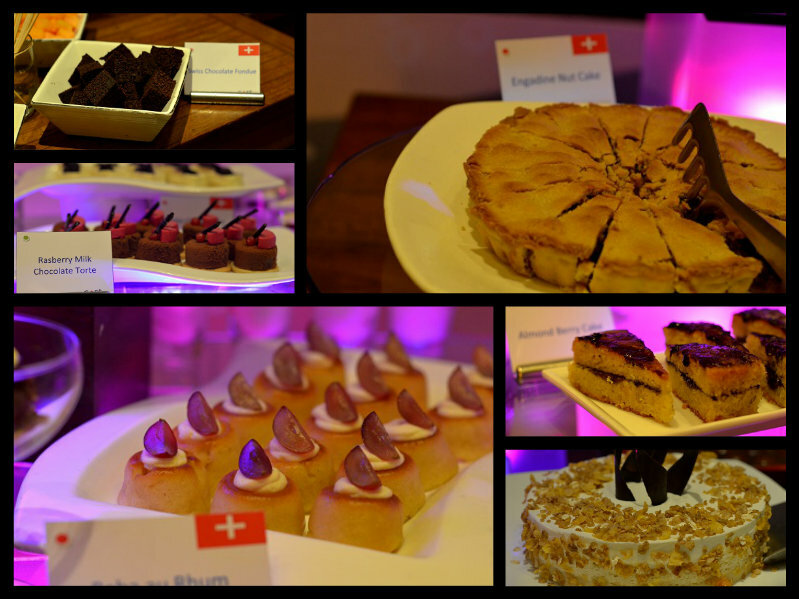 The weeklong Swiss Food Festival kicked off beginning of August, where else but at Swissotel’s Cafe Swiss. I was elated to be invited with KfB at the inaugural dinner. If there is anything better than dining at one of my favorite outlets, it is the company of friends you haven’t met in a while. It really felt great to meet Archita, Sayantani, Priyadarshini, Kamalika, Amrita and Vishal after such a long time, it was almost like a gang reunion (except the ones who did not turn up that day). As always, Case Swiss has done their usual wicked thing with laying out a huge spread with myriad of options to choose from. We also did our usual thing by eyeing the desserts first before moving on to the other counters, but as usual by the time we were finished, we were too overfed to finish all the desserts we had wanted to. Before this starts sounding like the diary of a hog, let me quickly describe the Swiss offerings in the menu. Based on my ‘limited knowledge’ of Swiss food, my expectations from the evening were twinfold – cheese and chocolates. I am happy to tell you I found both of these in abundance on their menu. 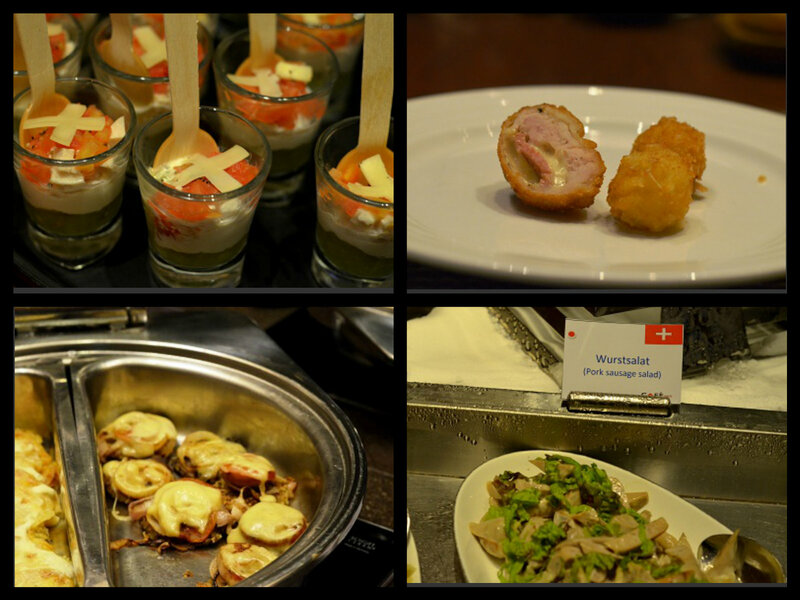 The appetizers included items like Chicken Cordon Bleu, Sweet potato rosti that was topped with cheese, and some other fried items that involved loads of cheese. Surre Mocke (beef tenderloin in sour sauce), Spatzle – Swiss version of pasta, very flavourful and much like gnocci, Salmon cooked in wine and herb sauce – a very picturesque dish with crisp skinned salmon cubes, cherry tomatoes and broccoli peeking out of a divine white wine gravy and the Lobster thermidor. My personal favorites that evening were two entree items – Rabbit stew with sauteed cabbage on the side, this was my first taste of the rabbit, it was textured like chicken except it was only more flavourful, something like the flavour of good red meat however no gamey smell. And the Rippli, succulent bits of smoked pork loin stewed with baby potatoes, beans and carrots in a heart light broth – yet another example of simplicity imparting excellence to a dish, and something I totally plan to try making at home soon. 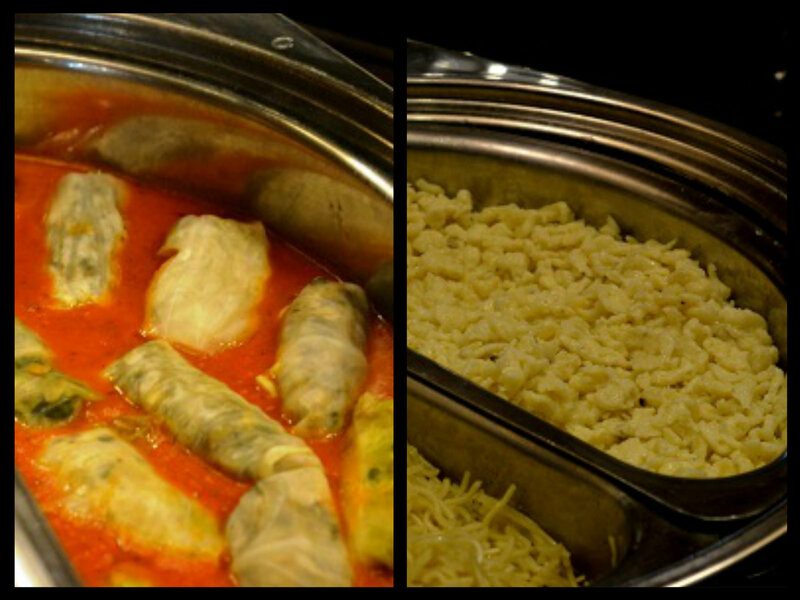 I also really liked cabbage stuffed steamed vegetable rolls in a tomato gravy, called capuns – simple yet flavourful and elegant. The Swiss take their peripherals very seriously and this was evident in some of the items such as the swiss cheese salad (cubes of what I thought was edam in a mild cheesy dressing and sprinkled with bright greens), the wurstsalat (pork sausage salad), red apple and walnut salad, Swiss potato salad and the omnipopular cheese fondue. Coming to the desserts, I loved the Raspberry Milk Chocolate Torte – rasperry mousse over milk chocolate mousse over cumin flavored biscuits, Engadine nut cake – a very nutty filling stuffed in a crispy pie crust – kinda reminiscent of a baklava except for the crust type and the level of sweetness (and maybe more walnuts here than pistachios), apple fritters with vanilla ice cream and a complex textured dessert that had layers of dark chocolate, an apricot something over a pistachio and white chocolate biscuit, topped with whipped cream, and a very nutty carrot cake. In short, if you have the appetite, try them all. I read someone on a social network saying somewhere that ‘whoever calls people you meet online as family has got to have something missing somewhere’. Well I am perhaps missing that something somewhere but not like I care. There are so many wonderful people I have met online who have stayed on to become best of friends and I really have social networks to thank for that. Otherwise a nerd like me would have to be forced to physically socialise to meet like minded people, we all know how that works for us. This is yet another reason why I totally adore Swissotel staff, they are extremely warm and hospitable and at the same time never overbearing. They let you be, and that makes me feel so much at home. Genuine people and real smiles make your food taste so much better! 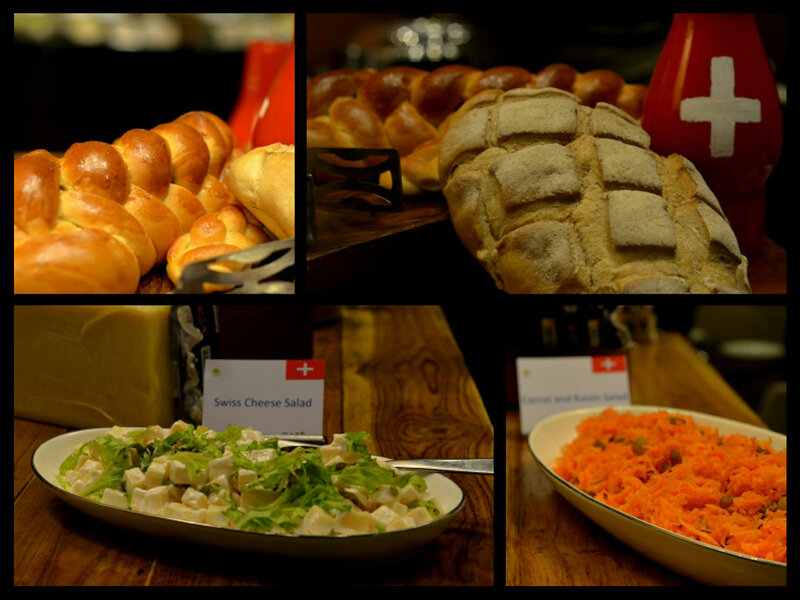 Head to Cafe Swiss on or before August 7th to enjoy the Swiss culinary luxury draped in genuine hospitality.